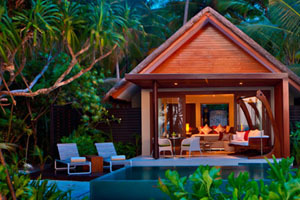 Luxury resort chain Per Aquum has opened a new property, Niyama, in the Maldives. It has 87 studios and pavilions and a boardroom for 30 delegates. Facilities also include a spa with eight treatment rooms, campsite-style restaurant with live cooking stations and an underwater music club.